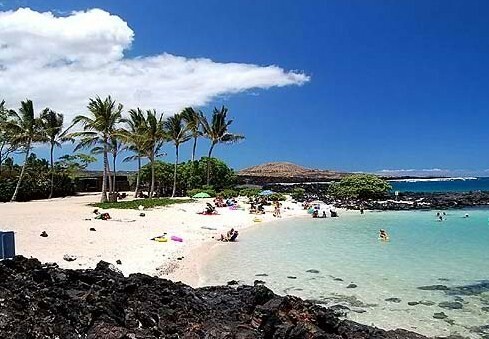 Kamakahonu Beach, also called King Kam Beach, is a quaint white sand beach in the heart of Kailua Kona between the Kailua pier and the King Kamehameha hotel right on Alii Drive. 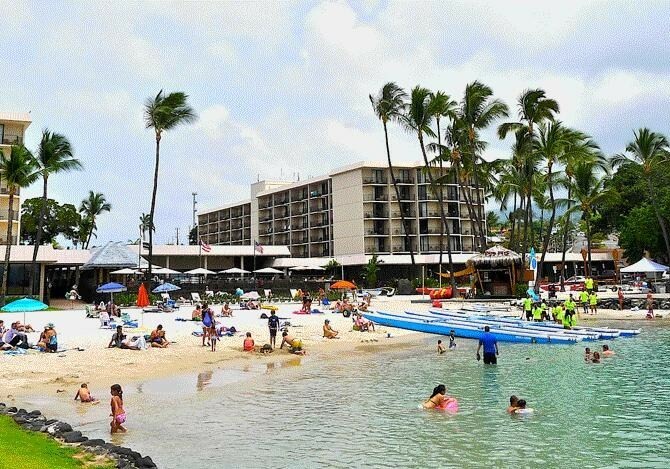 The area is an important historical site, having served as home to King Kamehameha I for some of his most productive years including his last seven years in power before his son Liholiho succeeded him. The name "Ka Maka Honu" means "the turtle eye" in the Hawaiian Language and refers to a rock that looks like a turtle's eye. Unfortunately, the rock is no longer visible as it has been covered by the Kailua pier. 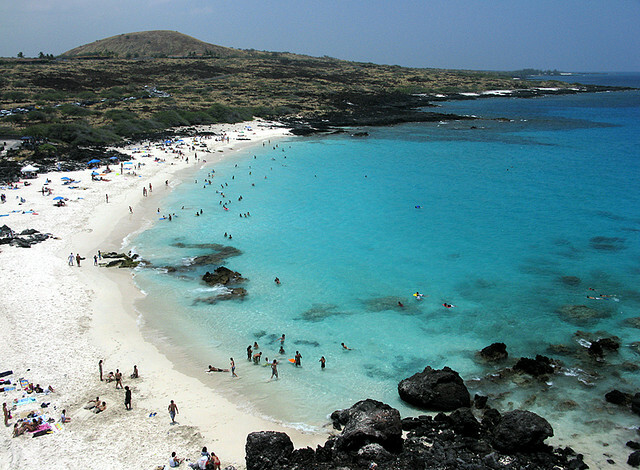 The Kamakahonu Beach is popular among families with small children because of its soft white sand and very calm waters. The beach is sheltered, protecting it from high surf. 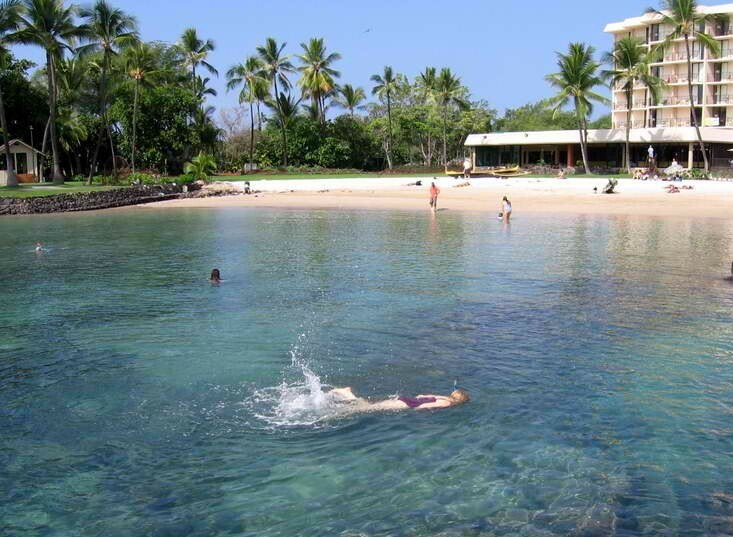 In fact, there is almost no wave action in this beach making it a safe swimming and snorkeling venue for the young ones. Adults will not be bored in this beach as there are also activities catering to them such as snorkeling, diving, canoeing, and swimming. There are shops on the beach which rents out snorkeling equipment, canoes, kayaks and other water sports gear. Off the Kailua Pier are numerous fishing spots that are usually open to the public for most of the summer. This beach is equipped with restrooms, shower rooms and barbeque areas. There are also shaded spots ideal for picnics and relaxation. 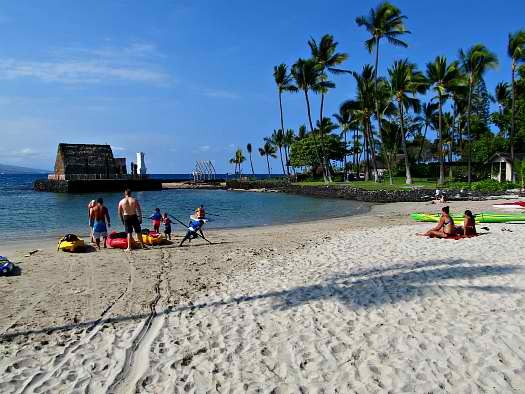 Apart from the beach, the area is also popular for its numerous heritage sites, mostly structures and temples built or used by King Kamehameha I during his reign. One of these historic sites is the ‘Ahu’ena Heiau (or temple of the burning altar), a sacred Hawaiian temple where King Kamehameha I spent his last seven years in power before his son Liholiho succeeded him. 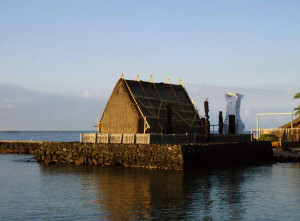 The temple was reconstructed in the 1970s and can be viewed from the outside. The temple is not open to the public but those interested can go to the nearby King Kamehameha hotel where artifacts and other historical objects from the temple are displayed in the lobby.